After lots of yes, no, dead, delay at last we hear something concrete from Samsung about Tizen. Samsung has sent out invites to a Tizen event at MWC next month where it will showcase the newest Tizen devices. The invitation only says about a new device but we have not any clue about the nature of the device. So far only a camera has been announced a variation on the Android-powered Galaxy NX. The Tizen event will be held at the Arts Hotel in Barcelona on February 23 is an invite-only. One interesting point is the announcement will feature representatives from some of the biggest Korean carriers – SK Telecom, KT and LG U+. NTT DoCoMo, the biggest carrier in Japan. What is it indicating? It means we have a high probability of seeing a cellular phone (read smartphone) there. There's no information so far on just what devices Samsung will be showing, but it can't be just for the camera, right? 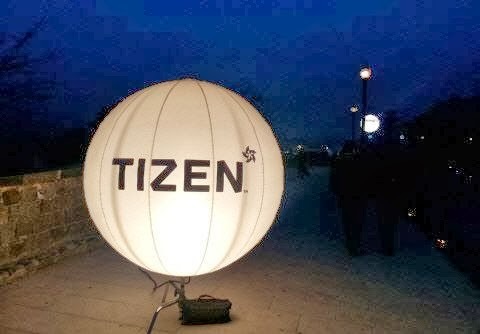 Samsung originally announced that it will be showing Tizen phones at the MWC, but then another Samsung official backtracked on that.